You ever wonder why some movies make you want to take a nap? If you think it's because they bored you to death, that may not be the case. It could just be the euphoric sensation, or “brain tingles,” derived from listening to its faint sounds, such as whispering or tapping, also known as your Autonomous Sensory Meridian Response (ASMR). Though most people get their fill of ASMR from YouTube videos, some flock to theaters. Filmgoers have taken to online forums and compilation videos to discuss which movies chill them out, from “Edward Scissorhands” to “Phantom Thread.” Here are the results. “Edward Scissorhands,” The Makeover The film that started it all. Peg Boggs (Dianne Wiest) uses her Avon products on Edward (Johnny Depp) with gentle tapping motions and a soft voice. A clip of the scene posted on YouTube has garnered over 380,000 views, with some users saying the movie was one of their first experiences with ASMR. “Phantom Thread,” Satin and Silk The sounds of fabric -- rustling, stitching, draping -- coupled with Reynolds Woodcock's (Daniel Day Lewis) disdain for loud noises produce a restrained and hushed film. “Toy Story 2,” Fixing Woody When the toy repairman starts opening up his toolbox, the subtle clacking of jars and subsequent sounds of sewing and airbrushing Woody (Tom Hanks) makes for a visually and sonically satisfying scene. “A Quiet Place,” The Sound of Silence It makes sense that a movie that is almost entirely silent most of the way through creates a somewhat subdued environment. Ignoring all the terrifying jump scares and the last half-hour or so, “A Quiet Place” can be quite an ambient experience. 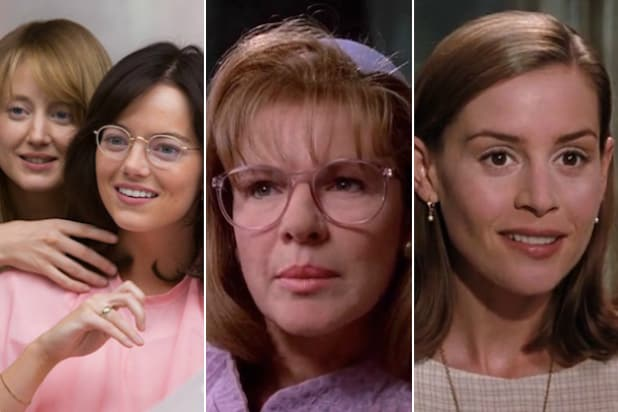 “Battle of the Sexes,” The Salon Scene Directors Jonathan Dayton and Valerie Faris explicitly used ASMR to create an intimate and “seductive” environment for Emma Stone’s Billie Jean King as she gets her hair cut by and begins to have feelings for Marilyn Barnett (Andrea Riseborough). Yet another example of the trend slowly percolating into the mainstream. “The Matrix,” Agent Smith Some find Hugo Weaving’s voice soothing, especially when his character interrogates Neo (Keanu Reeves) in an empty room. Perhaps Weaving takes the torch from the widely agreed upon grandfather of ASMR, Bob Ross. “Amelie,” Rose-Colored Lenses The critically acclaimed French film features an introspective Amelie (Audrey Tautou) and the world as seen through her quirky perspective. Her attentiveness to small sounds and sights creates a stimulating environment, whether it be people-watching at a cafe or going on a freaky amusement park ride. “Spirited Away” Food Scenes Really, all of Hayao Miyazaki’s animated films should be included on this list, solely for the mouth-watering, magically realistic food scenes. From the lavish tea party in “Spirited Away” to the hot chocolate scene in “Kiki’s Delivery Service,” each bite is purely scrumptious. YouTube channel “Peaceful Cuisine” understands the appeal of Japanese cooking as well, with relaxing tutorials amassing millions of views. “Napoleon Dynamite,” Uncle Rico’s Photoshoot “Just imagine you’re weightless, you’re in the middle of the ocean, surrounded by tiny seahorses,” Deb (Tina Majorino) says softly as she instructs Rico (Jon Gries) on how to pose. If that doesn’t lull you to sleep, I don’t know what will. “American Psycho,” Morning Routine Patrick Bateman’s (Christian Bale) morning ritual is undeniably disturbing, but also strangely meditative and almost... relaxing? Listening to him describe his very deliberate exercise and skincare regimen while watching him carefully peel off a face mask is kind of a satisfying experience. “Harry Potter and the Chamber of Secrets,” the Diary Scene The crisp pages of Tom Riddle’s diary provides excellent fodder for those that love the sounds and smells of old books. Hogwarts in general is home to many cozy sounds, from the crackling fireplaces to the crunch of snow on the lawns. 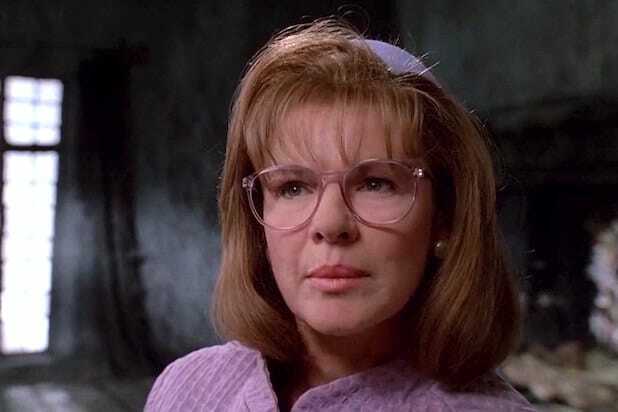 “Matilda,” Miss Honey The welcoming schoolteacher (Embeth Davidtz) effuses warmth and a kind softness. Her speaking scenes in the film -- particularly when she’s teaching her class multiplication problems -- bring calmness into Matilda’s (Mara Wilson) chaotic world.